Linnaeus is a vibrant community that seeks to enrich the lives of residents and those of the community through a range of arts and educational programs. Owners have the opportunity to participate in Linnaeus Education Fund activities. The fund supports a diverse cultural program hosting residencies, staging events and collaborating with national and local partners across the creative industries including musicians, designers, artists, architects and writers. The fund hosts a range of conferences and forums related to the arts, the environment and popular culture. Linnaeus hosts annual residencies for visual artists. The residency program includes annual residencies offered in partnership with ArtPark, Lismore Regional Gallery and other partners. We support adventurous new theatre and performing arts working with regional and national artists through partners like Northern Rivers Performing Arts (NORPA) Generator Program and the Australian Chamber Orchestra. 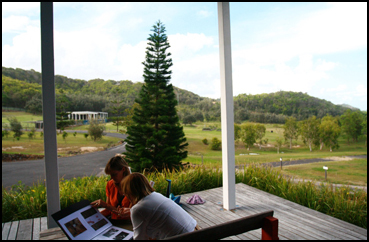 Forging ongoing partnerships to develop and nurture the humanities in the Northern Rivers. Linnaeus partners with local community groups, schools, businesses, government bodies and arts organisations. Linnaeus Education Fund works with a range of regional, national and international performing artists and partners. Linnaeus supports the creation of new theatre through Northern Rivers Performing Arts (NORPA) Generator Program supporting the creation of new works such as Dreamland (2016), Railway Wonderland (2015), performed on the tracks of the disused railway station in Lismore, and Cockfight (2015). Linnaeus partners with the Australian Chamber Orchestra, hosts residencies for musicians and an annual program of string Master Classes for Northern Rivers School Children. 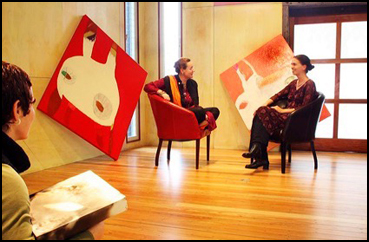 Linnaeus has hosted numerous individual artists, such as Richard Tognetti, Kate Miller-Heidke and Katie Noonan. Linnaeus hosts annual residencies for visual artists in partnership with ArtPark, Lismore Regional Gallery and other organisations. Past artists in residence have included Ricky Swallow, Fiona Lowry and Rhys Lee. The fund also partners with and supports regional galleries and arts development organisations and arts related events including Arts Northern Rivers and Byron School of Art. Linnaeus Centre hosts a permanent art exhibition comprising works acquired by the estate and changing exhibitions curated in conjunction with local galleries. Literature, film, history, policy making and cuisine - we love it all. Linnaeus hosts a Lecture Series, residencies, cooking schools, workshops and events catering to the diverse interests of residents. Linnaeus facilities include an extensive and diverse library. Linnaeus partners with local community groups, schools, businesses, government bodies and arts organisations to host a diverse program of events, music festivals, masterclasses and workshops. Linnaeus seeks to foster and promote the region’s abundant creativity while also engaging with the arts and sciences at a national level. Recent partners have included The National Library of Australia, ENvite, Screenworks, Study Abroad International and Byron School of Art.